We started the good work in 1970 and saw the light at end of tunnel since 1985 , thanks to the computer. Then in the 1990's the internet came and that was a joy. Now all my catalogues are online and FREE to browse, buy and admire. You, the reader, today, are the lucky one that we made all this information free to use and enjoy … say thank you to me … write me a nice email and tell me about your collections. 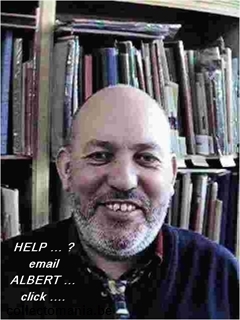 My name to Albert Van den Bosch and i am your host. 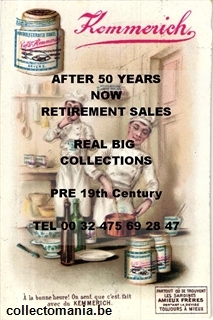 I collect myself and am a dealer in all trade litho ephemera, especially chromo tradecards, especially Paris printers 1860 to 1920. I try continuing to work for 5 more years, maybe 10 but the shop takes too much energy. Due to a genentic disease in the family, the children will be unable to continue the work. So i will not stop collecting of course, but the business probably goes over in other hands …. If I find someone who likes the chromo-collections … and wants to continue our business … Or buy the whole gigantix collection ? … feel free to ask … we can work out maybe something fantastic, I'd like to work with young people … I intend to be around here for about 5 to 10 more years…. If I can be of any help cataloguing. Then I will have the time to better help people to evaluate their collections and aquire help by cataloguing their collections and at end of collectioning if that ever occures and be your will : sell it at highest price. regarding the internet : The first target is already accomplished : our special sites www.chromo.be for the Liebig's,>P>and www.collectomania.be for the thematic collection. New findings are mentioned, with a fully operational section to the alfabetic list-function of all edited sets in all languages (so all titles in all languages are sorted in one list. Also al thematic indexes are accomplished and a printerslist is available already more than a year. Since Flemish is my mothers language i have fully described in each Liebig DUTCH set ( very related to Flemish language, written is it almost the same ). Each set from artistic view but also the educative and social consequences are thought of. Maybe i'll find the time to translate all but I learned to know the frontiers of disposal of time … and decided to make prioroties : family live, music, chess playing and walking in nature. So cut of 60 procent of my working time now. List with wanted numbers will be worked on steadily but not same day …as SKYPE makes that possible now … it will be whitin a week from now on. I like to work fast, so try me.